Why DON'T My Comprehension Strategies Stick? There is a time and a place for a good graphic organizer, and literal comprehension can be important. However, one of the main reasons our readers don't apply their strategies after the lesson is that we tell them how to read, instead of asking them how the text impacts them and giving them opportunities to respond to the text and take responsibility of their thinking. This summer I read and reread a few of my favorite Professional Development books, and added a new one. If you haven't read these 3, I highly suggest them! Especially Disrupting Thinking, because it did exactly that for me. It completely disrupted my thinking about reading, and gave me all sorts of motivation and ideas for working with readers this year. I decided to start designing my reading comprehension lessons a little differently. Instead of teaching my students to just extract knowledge from the text, I need to show them how to respond to the text and give them opportunities to do it! Think about the last most meaningful lesson you gave... when was your classroom most alive? I know when my students are making emotional and physical connections to text, and sharing personal responses, they are much more engaged and interacting with each other and the text. As they respond more, they become more passionate about what they are reading, which leads to higher comprehension. 1. OFFER CHOICE: I literally can't say and love this enough. 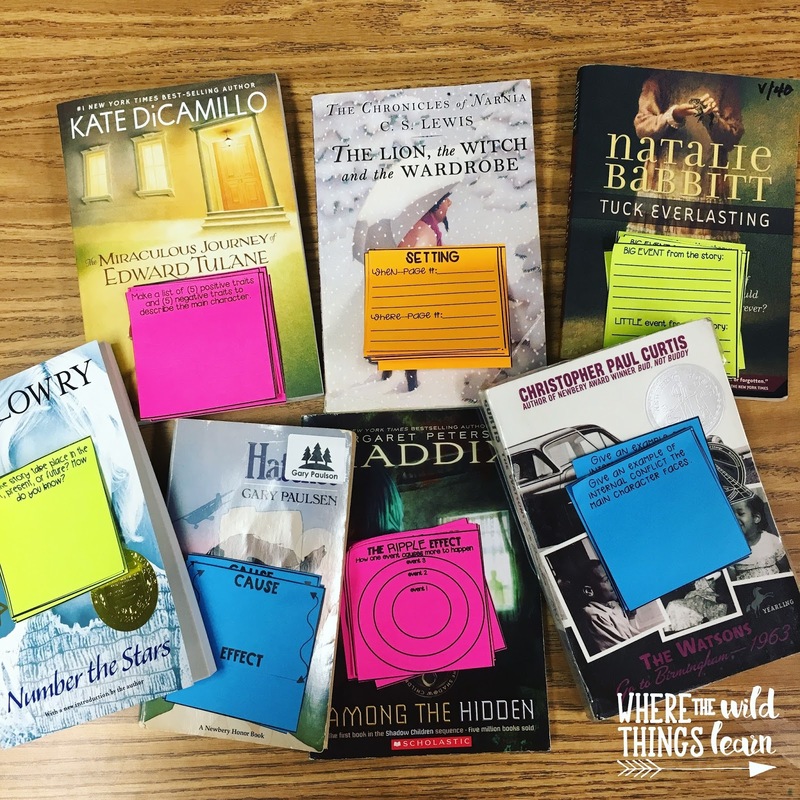 Students who choose what they read are so much more willing to interact and respond to text. This quote really spoke to me because I have been advocating for my students to read what they WANT to read for years. 2. STOP ASKING SO MANY QUESTIONS: I know are first instinct as teachers is to ask students questions about the text as we read, but we need to change it up. The last time you and your best friend read the same book, did you call each other to give each other 15 question multiple choice and true/false quizzes about what you read? When you finished reading that news article that intrigued you, did you sit down and take a quiz right after? Instead of asking our students so many literal questions, find ways to encourage them to respond to what they read. I use sticky notes to ask open-ended questions and leave my students with a lot of opportunity to respond and discuss. 3. MAKE IT HANDS-ON: For science and math we use manipulatives and tons of different STEM tools. Why should reading be any different? To engage some of our most reluctant readers, we need kinesthetic learning. Even the smallest bit counts. Think of HOW you can make a book hands on. For example, every year we read Saturdays and Teacakes by Lester Laminack. Instead of answering comprehension questions, my students write recipe cards, using what they learned in the book, and then follow that recipe card to make their own teacakes. You can read more about that activity here. 4. RESPOND-COLLABORATE-RESPOND: Collaboration between peers and opportunity to share responses with each other and with the teacher are so important. Giving students opportunities to extend what they read into personal experiences, emotional responses, and then having time to share and collaborate.... that's what reading needs to be about! One of my favorite go-to reading strategies that literally STICKS are my Comprehension Sticky Notes. I love that most questions are open-ended or just a simple starting point, allowing students to THINK about reading and respond in a way that they can understand and relate to. 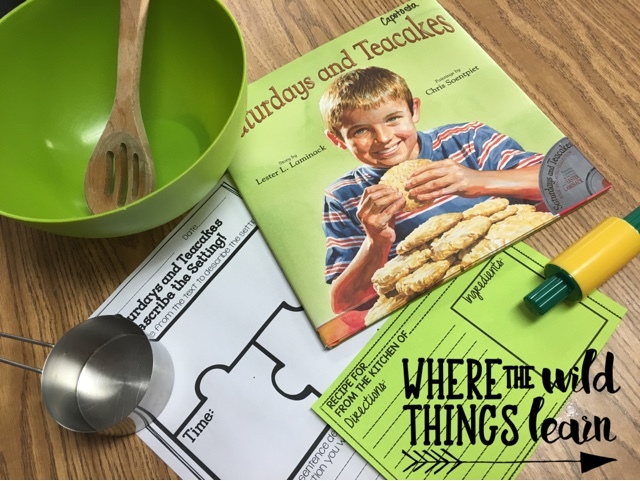 They can be used with ANY book, and I pull them out quick for small groups or even whole class activities. 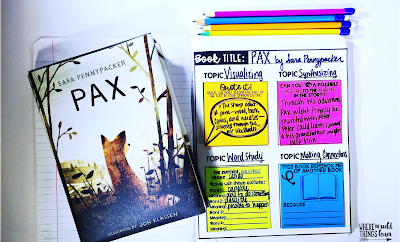 For example, I had a group reading PAX last year, and I wanted to work on some different skills then other groups. I had them glue down the skill-based notebook page from my pack, and we worked on skills that were specific to them. I love that I can easily differentiate with them by giving different groups different sticky note skills, and the sticky notes have different levels of thinking questions on them. Another way I use these is to glue down a skill-specific notebook page as a class. Then I can give different levels of questioning sticky notes to students to differentiate their focus, while still all working on the same standard. Hands-on activities can be done in so many other ways. If you follow me on any other social media, you also know that I am ALL about novel studies. And the activities I design to go with them all follow my philosophy on reading. When teaching Harry Potter and the Sorcerer's Stone, we do A TON of hands-on experiments to really extend the text. When reading Number the Stars and Tuck Everlasting, we do STEM challenges along with the book! 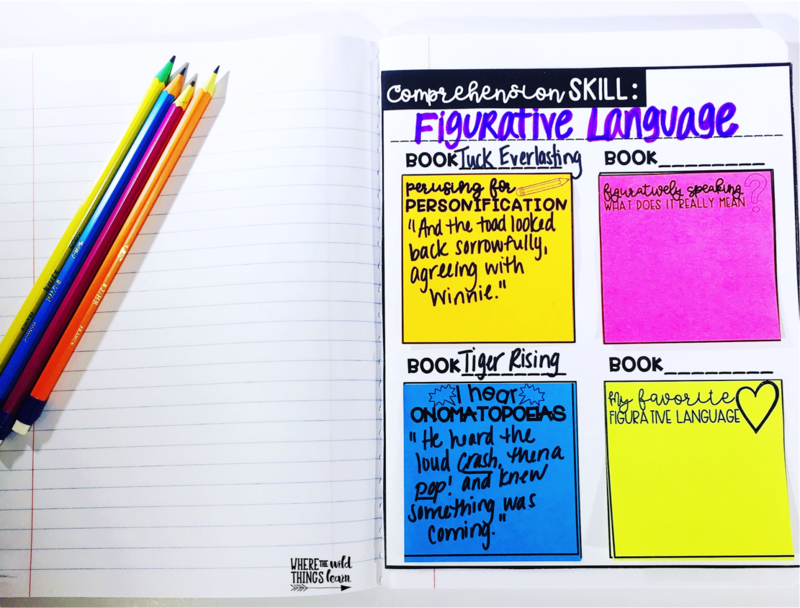 I hope I've given you something to think about and now you can continue to design those amazing comprehension lesson plans, with these few tips in mind! If you want to try out these sticky notes, make sure you sign up for my mailing list here! As a bonus for signing up, you will get an EXCLUSIVE set of free Comprehension Sticky Notes that go right along with these philosophies that I've shared. Let's all try and use comprehension strategies that STICK! Every day I thinking about how it isn’t fair to us that our teachers and we didn’t have internet so spread back in the days. Nowadays we just have so much of opportunities in every field of teaching and learning. All you need now is a motivation, without it even hi-tech can’t help to do things right. As I see here, you are one from progressive kind of teachers. I hope my kids will have people like you as their teachers. Amazing information my friend all this steps is very awesome and important for us.